A new record for the most distant galaxy cluster has been set using NASA’s Chandra X-ray Observatory and other telescopes. This galaxy cluster may have been caught right after birth, a brief, but important stage of evolution never seen before. 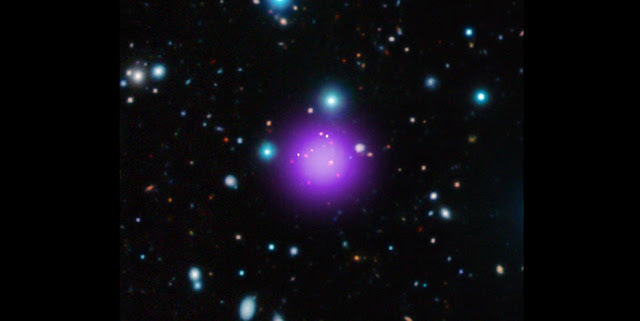 The galaxy cluster is called CL J1001+0220 (CL J1001 for short) and is located about 11.1 billion light years from Earth. The discovery of this object pushes back the formation time of galaxy clusters – the largest structures in the Universe held together by gravity – by about 700 million years.